Melodic death has gone to many places since it came out (stand-a) blazing from Gothenburg in the mid-’90s. It has touched upon virtually all of metal’s sub-genres, exploring terrain both commercial and distinctly underground, espousing personal and sometimes astral lyrical themes, which in part, first came down the pike via In Flames’ “Behind Space” from their Lunar Strain debut. In Flames, of course, were never ones to stay in the same place album-to-album, but the themes of outer space (perhaps inspired by Star Wars) have remained firmly within the style, allowing a band like France’s Fractal Gates to make it their thematic cornerstone. Dead Rhetoric: You have gained quite a solid following since Beyond the Self. 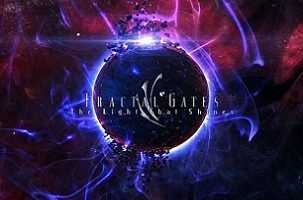 What do you think it is about Fractal Gates that resonates with people? Sebastien Pierre: All is relative. Fractal Gates is underground and people mostly seem to enjoy it for the energy it irradiates. We don’t try to be original, we just follow our feelings. And we send cookies with each purchased album, but don’t tell anyone our secret. Stéphane Peudupin: We are very grateful for this. Our fans are great! We really enjoy what we are doing and our followers appreciate the energy that comes out of the songs, we can’t get happier than that! 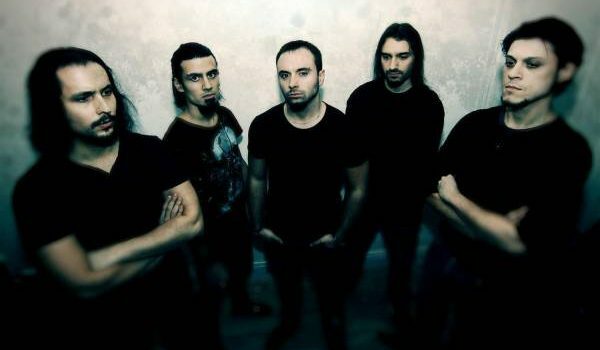 Dead Rhetoric: I look at it like this: You are a melodic death metal band, but you aren’t a typical melodic death metal band. You offer up something new and unique. Do you think that helps? Pierre: I think very few bands offer something new in terms of style, but the melodies are most of the time personal to each band. I don’t consider ourselves as being original and it’s not our goal, but we do have our own sound. And we evolve around it, seamlessly, without boundaries. Peudupin: Fractal Gates is about space, dreams, infinity, energy, positiveness. When Seb and myself compose the songs, we don’t try to sound like other bands we like, we integrate the melodies that speak to us and implement catchy rhythms that we feel are right. It’s all basically about that. We don’t have boundaries like Seb said, so we basically just do what we truly like. Dead Rhetoric: You usually have several years in between the release of albums. Why is that? Are you hyper-critical when writing songs? Pierre: We have other projects aside from the band, both personal and musical. Peudupin: There were weddings, babies, new jobs, new projects. We just needed that time to relax and take care of our personal stuff. We feel the need to compose songs and melodies, so I guess a new album will see the day in a much, much shorter time-lapse. Dead Rhetoric: What was the songwriting process like for The Light That Shines? Did you try anything different? Peudupin: The songwriting process went smoothly. Seb came to my place some weekends and we started composing in the same way as we did for the previous albums. We had a lot of ideas and as usual, we had to put some songs and melodies aside. We tried to emphasize on a bit more speed and energy with this album, we wanted our songs to feel a bit rawer. We took a bit more time than beyond the self for the writing process. Dead Rhetoric: How did you end up with Rain Without End Records? Pierre: We had to change the label for the third album, and as my other bands Enshine and Cold Insight were already signed with RWE, it was the first logical idea. Peudupin: Robert liked our stuff and made us a cool deal. I would add the precision that The Light That Shines is co-released RWE / Fractal Gates. We have the necessary freedom with RWE, so that is cool. Dead Rhetoric: On the surface, your songs are simple, but when you dig deeper, there’s a lot to them. Where does this approach come from? Pierre: We like to mix linear catchy parts with subtle details, this opens a new overall atmosphere for the songs. It rewards the additional listenings. Dead Rhetoric: There’s a lot of strong songs on the new album, but I’m very fond of “Dreams Apart.” What’s the story behind this one? Pierre: We wanted a track where most parts would stay in the head, combining melodic and headbanging riffs, the wall of sound and ethereal mood. Peudupin: You’re in a Battlestar Galactica Mark II Viper and you need some catchy motivation for the epic battle. You press play and “Dreams Apart” comes on. Dead Rhetoric: What type of lyrical themes are you exploring? Are you still in the astral/sci-fi realm? Pierre: We let the flow of words build themselves a coherent overall. It mostly leads to abstract, timeless scenarios, drifting between fiction and philosophy. Peudupin: Abstract and sci-fi/astral. Imagination is a heavenly gift. Dead Rhetoric: You have been a band for over ten years now. Can you describe some of the highs and lows of your career? Pierre: We make it by passion, not as a job obviously, so this is harder to see bad points. The low would probably be playing in front of a crowd that does not seem into it. While the high is a memorable live with complicity between band and audience. For me, the highest high still remains writing new material, both in terms of music/lyrics and visuals. Giving birth to new horizons, giving life to a new start. Peudupin: The highs would be the great feeling when composing and seeing people liking and getting it! Some awesome gigs we had, for example, the one in Brest (West of France) Crazy crowd! Also, the great moments shared within the band! As for the lows, I can’t recall any. Maybe as Seb said: a gig or two where the crowd just didn’t get it … but it was really no big deal! Dead Rhetoric: What’s the next step for Fractal Gates in your career? More touring? Pierre: Some touring probably, and possibly new album(s). We will do as we feel. Peudupin: New gigs and a new release! A new cycle begins. Dead Rhetoric: Finally, what’s on your agenda for the rest of 2018? Pierre: We started rehearsing with FG, I’m writing a new Cold Insight album and as always tons of solo projects. And surviving the heatwave. Peudupin: Sports, martial arts and kundalini yoga! And, finding some melodies for the upcoming album!